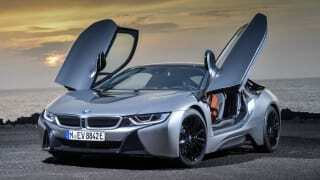 The BMW i8 plug-in hybrid sportscar brings several worlds together in one remarkable looking package. 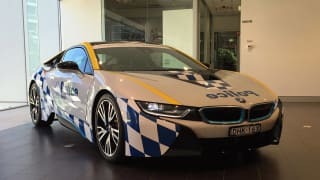 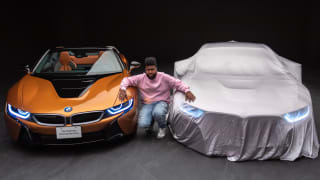 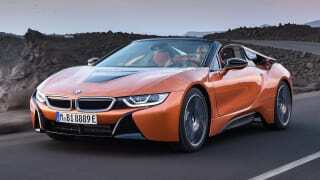 Part of BMW's much vaunted 'i' program that was developed to bring EV and hybrid performance into the mainstream, the carbon-fibre tubbed i8 features butterfly doors, while its powertrain consists of a 170kW three-cylinder 1.5-litre turbocharged engine and a 96kW electric motor that, combined, can whip the i8 to 100km/h in 4.4 seconds. 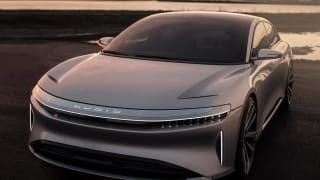 Its green credentials are strong, with 37km of pure EV range and a claimed fuel economy figure of 2.1 litres per 100km. 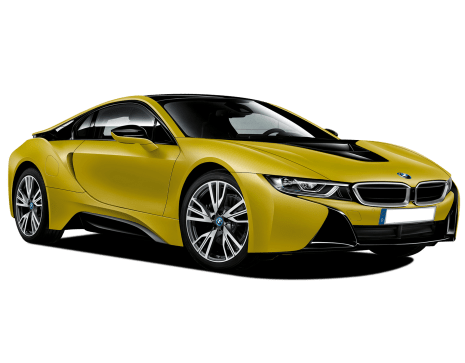 The range will double with the addition of an i8 Spyder drop top version in 2018, but for now there's just one model: the $299,000 i8 HYBRID. 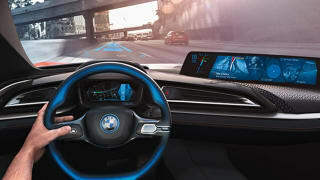 This vehicle is also known as BMW Vision Ergonomics Dynamics.